Robin Reichert will create the perfect presentation tailored to your event! Story is what brought us from there to here. Whether we share our own personal stories or fictional tales, we gain clarity about who we are as a collective human species. When Robin creates a program for your event your audience will learn even more about themselves, about how very much alike we all are, as well as how to joyfully experience the beauty of our diversity. Her stories bring people together, honor the miracle that life is on our amazing planet, and help us to remember the magic. Robin's stories heal and remind you of your connection with All That Is - the incredible world we call Nature. Welcome to RobinHeartStories…Listen. You will discover stories and be better for it. My first CD is here! Robin takes you on a journey to places where the pull of the moon oversees destiny, feathers connect spirits and strangers to each other, and Love rules all. Enter these stories with an open heart and mind and you will never be the same again! 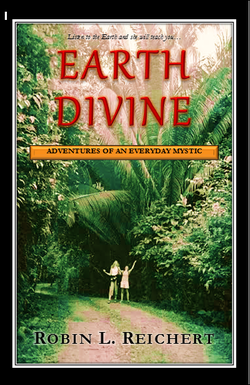 Adventures of an Everyday Mystic! 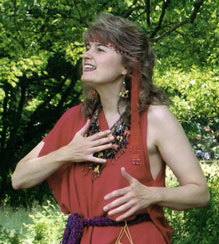 "The author’s journey of self discovery is compelling and her love of nature is beautiful. While nature is, in itself, quite tangible, her reflections on the divine element of nature are more ethereal. Those who approach nature in a similar way will relate to her reflections and follow her thoughts and emotions easily; those just beginning to approach nature this way may get a bit lost as the narrative ventures beyond tangible details and every day events—but they’ll be challenged and invited by her narrative. Overall, the narrative does a good job balancing details of day to day life with more transcendent events. By showcasing what it means to encounter the divine, the narrative actually shows what it means to be fully human, embracing wonder and dignity and love of learning. The author’s tone is open and warm, inviting others into her life and her journey and gently challenging them to begin or continue on their own journeys. The chapter opening quotes provide an apt, intangible sense of what each chapter will be about." Please check out my new store on Zazzle! I've taken great care to come up with products that are earth friendly and functional and even have an apron that will help mother's of special needs children in Kenya!